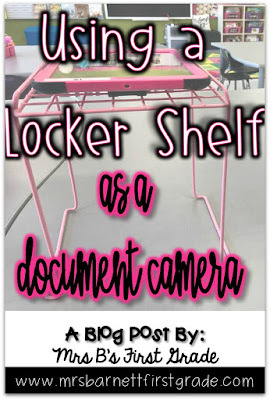 Locker Shelf iPad Document Camera! In my classroom I have access to wonderful technology. 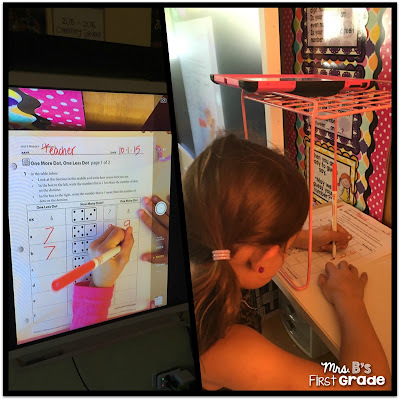 When I first started at my school I had a SMART board and an Elmo Document Camera that projected on it when I needed to. 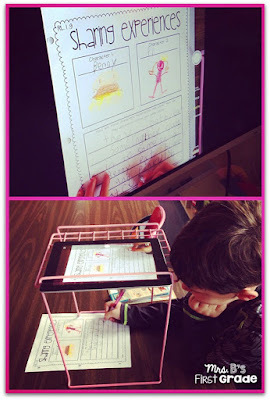 As my classroom evolved into the 1:1 iPad one it is today, I realized that I didn't need my Elmo anymore. I wanted to be able to easily switch from my iPad to my computer when projecting on my SMART board, so I began looking at products that could hold an iPad. I looked at some, but thought they were so expensive. I also saw some ideas of making your own with PVC pipe...but I am not handy. Then, I got the best idea! It was back to school time last year and I saw a pink locker shelf from Target. Being the pink addict that I am, I decided to get it and knew that I would do something with it. I brought it into my room and stared at it a few days while I was working when it finally hit me - I could put my iPad on it to turn it into a document camera! 1. Get a locker shelf! Any one will do, there may still be some out there on back to school clearance! The only important feature you need to look for is one that has a gridded top and not solid. The larger the grids the better! 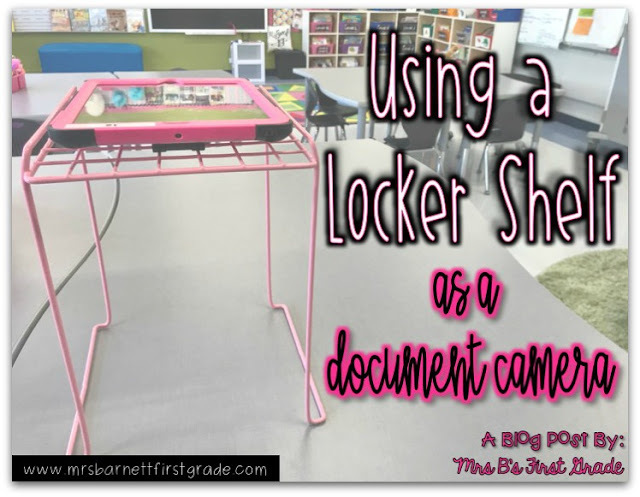 2.When you would like to use your iPad as a document camera, just set it on top of your locker shelf with the camera lens in the back pointing through one of the gridded holes. Think about it like you are taking a picture of what is under the locker shelf. 3. Open your camera app on your iPad and put whatever you want to project (worksheet, book, anything!) underneath the top of the locker shelf. 4. Connect your iPad to your SMART board or whiteboard however you usually connect. I use airplay. 5. Voila! 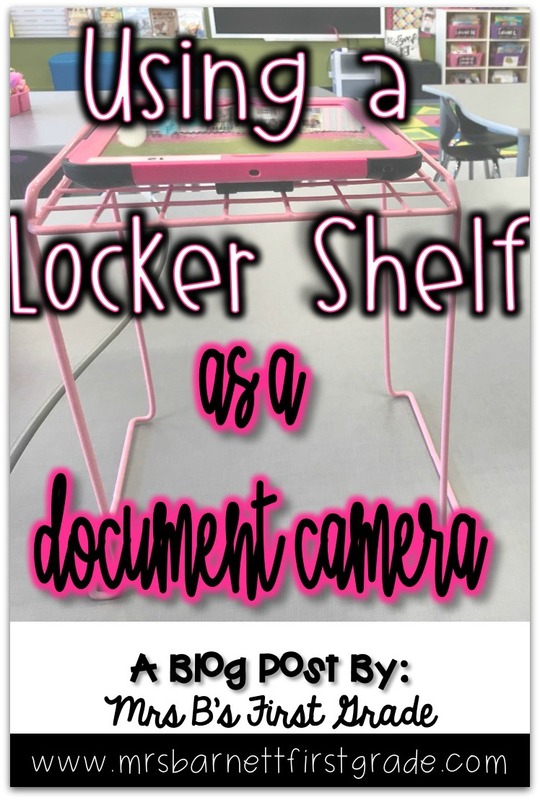 Your screen will show whatever is under your locker shelf via your camera. You can keep the camera app as long as you would like without taking a picture. Just use it to project what is happening! Question! Do you have any good technology "hacks" for your classroom? I would love to hear about them! This is genius! Thanks for sharing! My document camera is way at the back of the room, which can be difficult. Now I can use my iPad from anywhere, and still keep it steady. Thank you! Thanks so much for your comment, Sarah! I hope this works for you! This is brilliant to use a cute pink one! 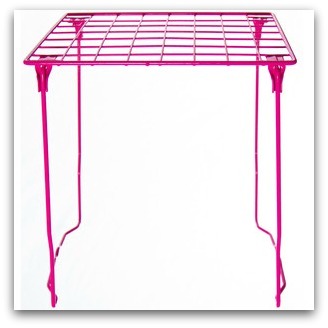 I was about to get rid of some of those plastic coated wire shelves for plates and thought about the same thing when I was doing stop motion videos with students! :-) It worked pretty great! Awesome idea!! I would love to do something like that! Thanks for sharing! Hi! That is okay, I should have explained that better! I have Apple TV in my classroom. You can swipe up from the bottom of an iPad and choose AirPlay to have what is on the iPad project onto a screen. 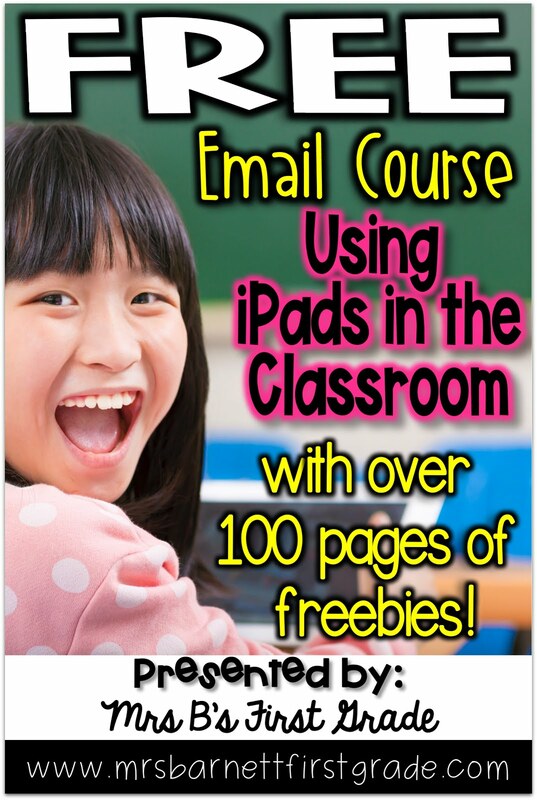 I project mine onto my SMART board. If you do not have Apple TV you will need to use a connector cable to do so. Hope this makes sense, let me know if it does not!